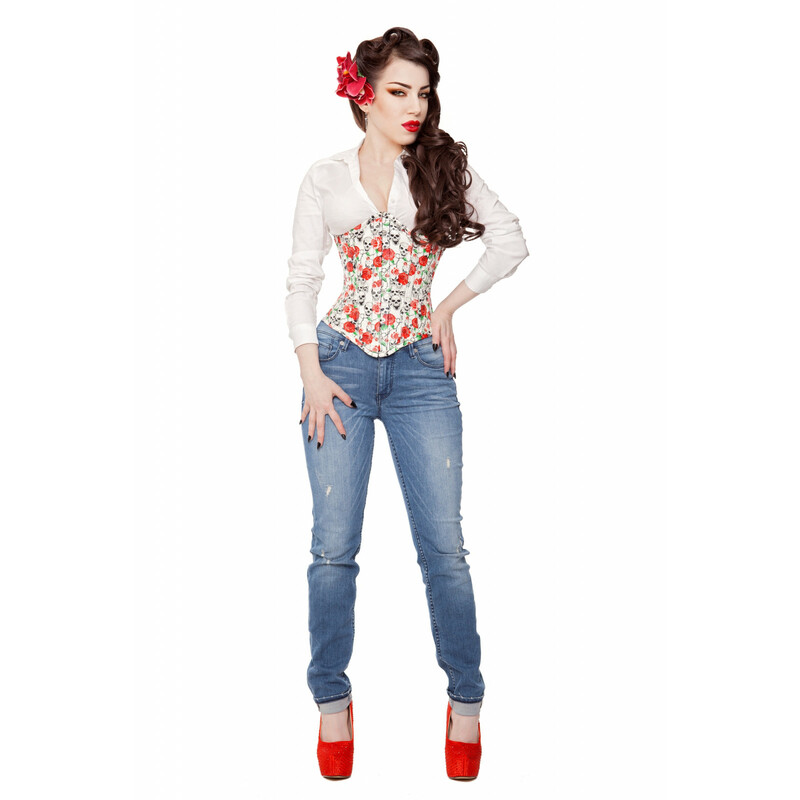 It is time for something totally different and this skulls and roses print corset is just that. The eye catching print is something that is not used on corsets due to the cloth's difficult nature, which is what makes this corset so special. A qualified corsetiere has used all her skill to craft a steel boned corset that will cinch the wearer's waist in, at all the right places. While the skulls and roses print draws attention to the wearer's fantastic silhouette.